Mother's Day has great significance. The wonderful women in our lives deserve more than just a day to celebrate all that they do for us. On this specific day, it is time to emphasize all that these women mean to us. Whether you cook a special meal, enjoy a meal out or shower her with gifts, the important message is to know that she is loved. This year, More 4 Mom's Buck has joined with several other blogs to giveaway tons of prizes that any woman would love. Personally, this summer I am all about being outside. From kids' sporting events to a casual picnic with friends, I want to be in the sunshine and fresh air. My prizes focus on enjoying the time out of the house. 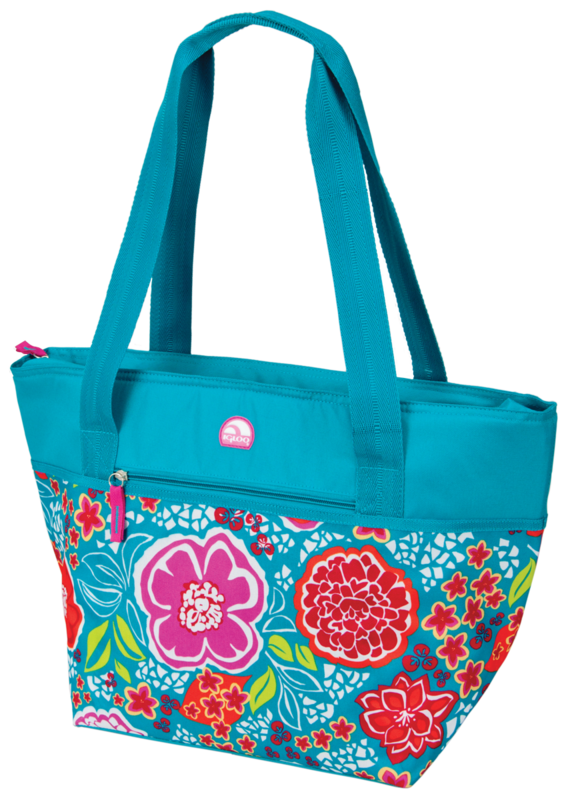 Igloo has fun, fashionable and functional totes that any mom would be proud to carry. My two favorites are the Igloo two bottle wine tote and the Igloo 30 can shopper tote. Here's what is up for grabs! Disclosure: Some prizes were provided by sponsors and others were provided by More 4 Mom's Buck. I was not compensated for this event. Makobi Scribe Reviews, LLC or the Mother’s Day Gift Event Bloggers are not responsible for sponsors that do not fulfill their prizes. We always host a lovely dinner for my mom. Presents. Cake. The works! We're looking forward to spending time together, since we get to do it so seldom. I hope to get a few flats of annual flowers for my flower pots and yard! No big plans this year - we just lost Mom April 10th so it's going to be a tough one. My mom would love a spa treatment! A gorgeous flower arrangement! Thanks for a fantabulous giveaway and chance to win it! I just want to spend time with my mom and my son! For all my children to be here for that day. I really don't want anything, just my kids to come spend some time with me. I sure would love a manicure and pedicure. My Mom loves flowers and for the last few years, we plant a garden for her with flowers in it for her Mothers Day gift, since she can't garden herself any more. I want to be taken out to eat! I will be happy with whatever my daughters pick out for me. My mother wants her flower bed fixed up for spring. I just want a day that my kids don't argue with each other. That would be awesome! I would love a Keurig. We like to take the family to the zoo & have a picnic. I want to be able to sleep in. I just want to spend time with family! I want a day with nothing to do. I would love to go to lunch with her, but she lives too far away. Me and my daughter and daughter N law are going to a banquet. I want a family fun day, which I'm lucky enough to be getting as long as the weather holds out. I want bento items and tennis shoes. I want breakfast in bed, and my husband to do all the house work. My dad is having some health issues so my Mom and I would just like him to have a good day. all I want is nice, handmade cards and gifts from my daughter and grandsons. I wanted a peaceful day which I recieved!! a nice meal -- which I got! I was hoping for an e-reader. But..........it's still Mother's Day WEEK, so maybe there's hope. I anted to sleep in.. and i did! 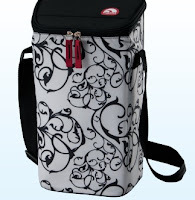 My mom would love to have me home for mothers day and also to have these cool coolers! Thanks for the giveaway! My mom and I would have loved to spend the day together, but since we live so far away we have made plans to have dinner in June, that will be our Mother's Day. I was served breakfast in bed and just spent time with my kids and my mother. My mom and I got massages together for mothers day! A spa day would be perfect! Some me time, a homemade gift, and no cooking. Got the first 2. I would like time with my family and a nice dinner! I would have loved to be able to visit my mom on Mothers' Day. All I wanted was for my son to remember...he did with flowers and dinner out. Sadly, mom's not here any more. I got what I wanted: pictures of my little grandson and phone calls. I got what I wanted which was peace and quiet. We just want a good home-cooked meal. What do you or your mom want for Mother's Day? Some flowers and a new book. I wanted someone to cook dinner for me. I wanted a relaxing day. For Mother's Day, I just want to hang out with my husband and daughter and maybe go on a bike ride with them. I got to be with my husband and daughter for dinner and web cam with my grand kids. Family, food, and relaxing sounded good to me. We just relaxed and enjoyed ourselves. My mom wants a day of peace. I have always wanted a mother's ring.